Join The Art of Migration and Support our 10,000+ mile journey from Germany through Eastern Europe and Central Asia to Russia, as we seek to understand and raise awareness about migration — and to explore culture, identity and the concept of "home" through public art, conversation, and story-telling... because migration is a complex issue, but curiosity, art, and conversation are catalysts. 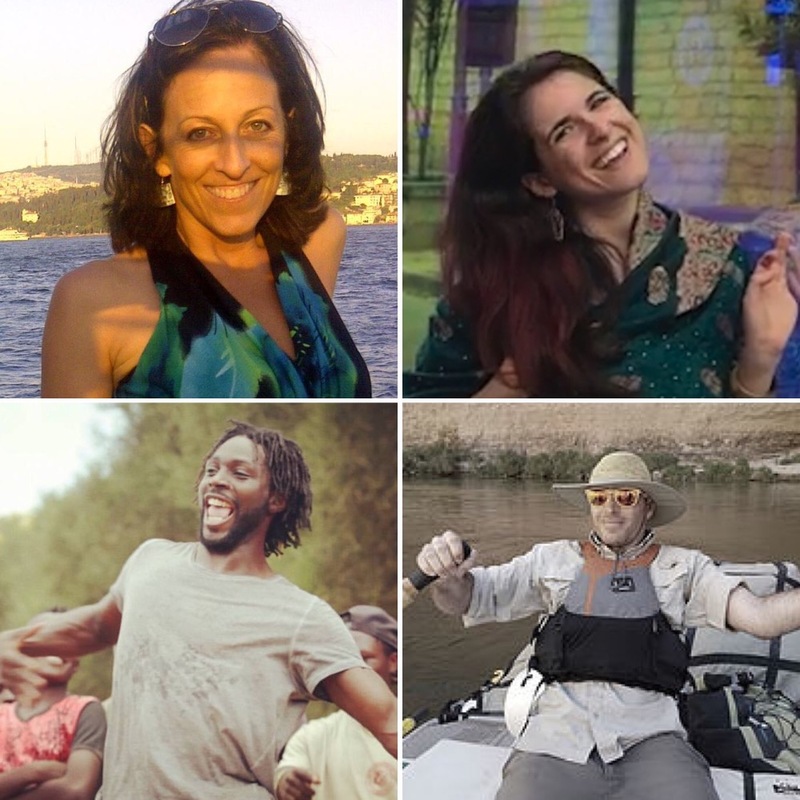 This summer, we — an artist, a dancer, a professional traveler & a U.S. immigration lawyer — embark on a 10,000+ mile journey through 20+ countries in Eastern Europe & Central Asia, to raise awareness about migration & to explore culture & identity through public art, conversation & story-telling. Our adventure is part of the Mongol Rally , an annual pilgrimage from Prague to Ulan-Ude, in a 1.2L engine car. This year over 400 teams from all over the world will participate. WHO ARE WE - THE ART OF MIGRATION "MONGOL RALLY" TEAM! 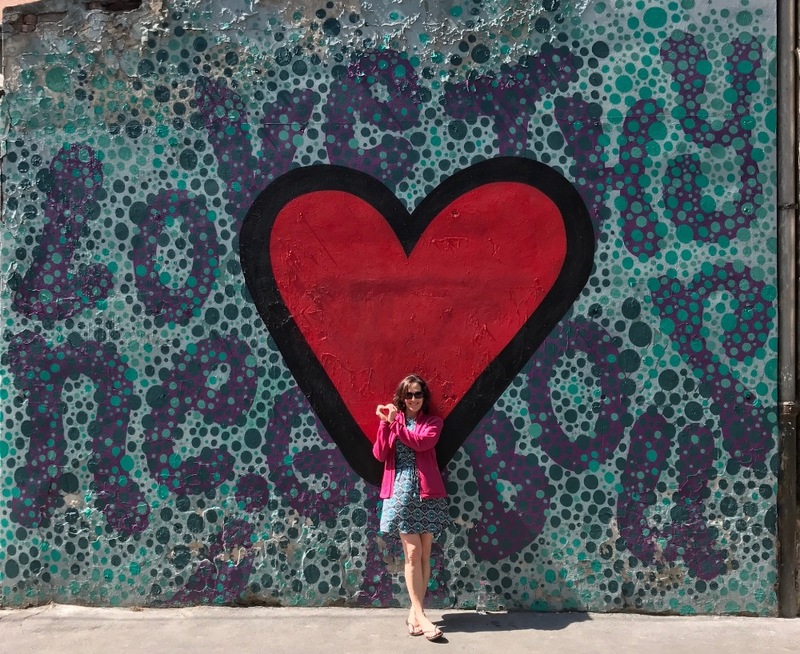 Sheryl is a U.S. immigration lawyer who changes lives, opening doors to help people realize their dreams & contribute locally, and working with communities to build bridges that encourage security, resilience & joy. Bethany brings communities together using her gift for the arts & creativity. Her Paint the World organization invites people to contribute to collaborative art murals around the world, to visually express relevant themes. Quentin brings people together through the art of movement & dance. From Montana to Florida to an African refugee camp in Uganda, he sparks joy & possibility through cultural dance exchange. Yuri is a professional in the travel industry who helps countries develop tourism as a tool for development, and to foster cross-cultural understanding through experiences bridging people, countries and cultures. EACH OF US works in our own way to break down barriers between people, bringing us closer together, so we can co-exist peacefully… and joyfully! 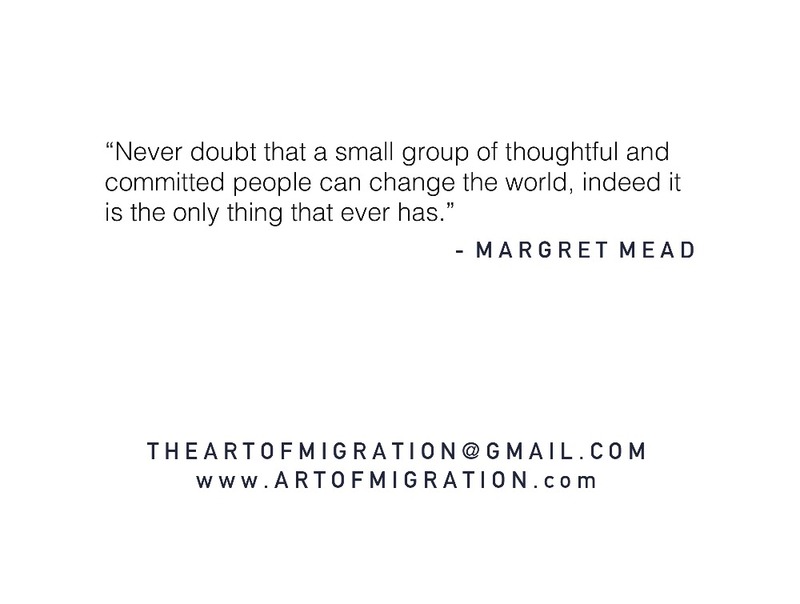 *The Art of Migration is a community platform to engage in meaningful conversation, participate in targeted impact activities, identify and celebrate positive initiatives, and build cross-cultural understanding, one mile at a time, starting right where you are. We facilitate & participate in real interaction between people where they live, to better understand each other, our journeys, and the forces that shape us, as we help to cultivate a sense of community and cooperation. We explore reasons why people move and how the arts and dialogue can ease the challenges of integration, inviting all to participate in seeking and celebrating solutions together. Currently, a record number of over ​65 million people are displaced from their homes. Countless others move for work, or love. Beyond migration, over​ 1.2 billion people ​cross borders every year for tourism. ​These statistics are staggering. What are the implications of so much movement? Where do people go when forced from their own homes? Could travel and tourism be a tool for building empathy and innovation? What easily replicated practices and behaviors can guide us beyond stereotypes to foster peace and understanding wherever we find ourselves? The good news? Solutions are everywhere, when you look for solutions. Everywhere we go, we find ordinary people making extraordinary choices, to improve life for all the residents of their communities. Many of these initiatives are small and simple, and they matter. One example (of many) is Refuge Coffee Co. in Clarkston, GA, which CNN calls the most multicultural square mile in the USA, due to refugee resettlement. 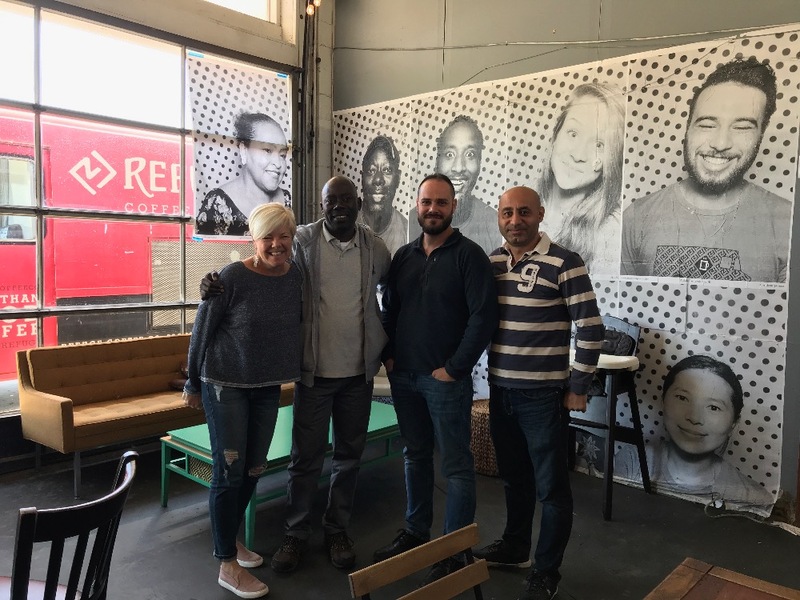 Local residents & church ministries identified the need for a social space where community can gather, so they created Refuge to share coffee & culture & get to know each other in joyful ways. They now celebrate holidays together and break bread together. Volunteers also use the space to teach English and other life skills to their new neighbors. At the annual Refuge Coffee 5K, we overheard a runner saying, "You know, the world could be like this!" Another Georgia native told us he doesn't like to travel so much, so he appreciates getting to explore the world through his own community, sharing food, art & stories with his international neighbors. Whether people move for love, opportunity, or because of circumstances out of their control, the effort to move forward & keep trying is fueled by a faith that something better is ahead — freedom, possibility, hope. *The Art of Migration is AN INVITATION to tap into that kind of faith & discover your best self in the context of here and now — as the *act* of migration dares you to realize the innate qualities we all possess, as humans: strength, courage, resilience, resourcefulness, creativity, humility & so much more. Our intention is not to politicize an already charged issue, but to celebrate ALL of our journeys — what we have in common, as well as our unique perspectives, experiences, challenges, skills, food and culture — and to explore ways we can all contribute to make our communities joyful & resilient. What role do YOU play? How do YOU choose to contribute? TEAMWORK — WE CANNOT DO THIS ALONE! 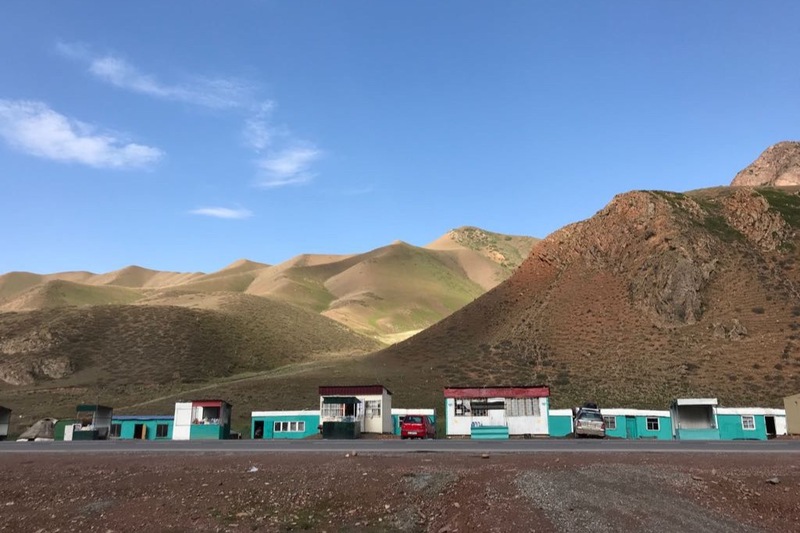 The Mongol Rally adventure is meant to be a catalyst for collaboration and community engagement, to share and discover practical ways that individuals and communities can solve complex challenges. Along the route, we are partnering with local organizers and activists, visual and performance artists, migrants and refugees, and everyday people. Determined to use our superpowers to spark more magic in the world. + Bethany will collaborate with local artists & invite all community members to co-create a collaborative art mural reflecting local culture & identity. + Quentin will demonstrate how movement can break down perceived barriers & ask local residents to share traditional dances, so he can choreograph a medley of moves from different countries & cultures to share with the world. + Sheryl will facilitate story-sharing & explore the challenges of migration, using the art of conversation to deepen understanding of ourselves and the people around us, in the context of global migration. + Yuri will explore how the opportunity to travel and meet people from different places can spark curiosity and facilitate cross-cultural understanding. 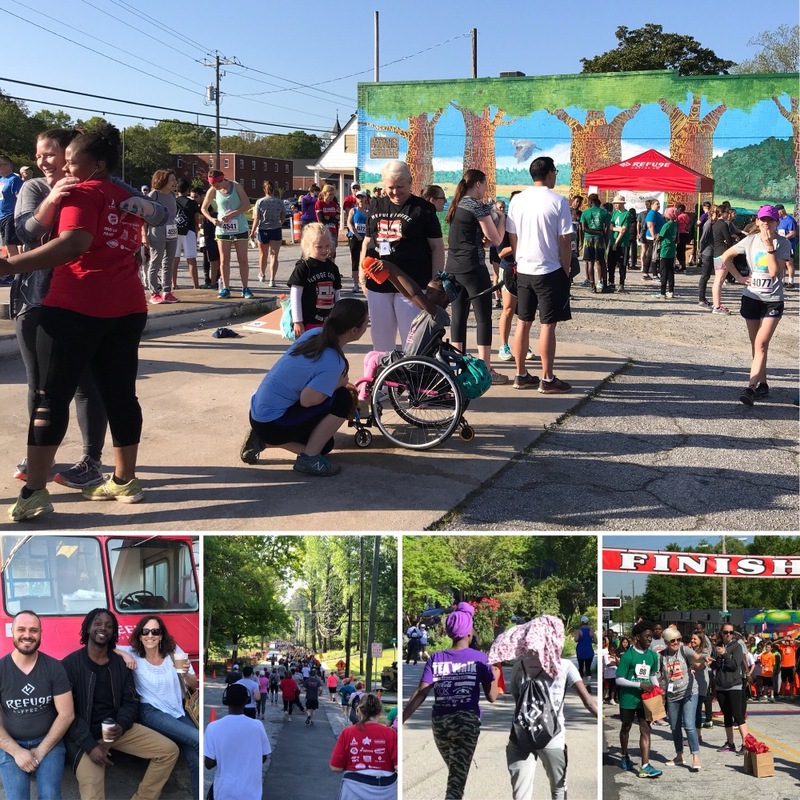 + You are invited to participate, as much or as little as you like, and we need you to identify people in your community who are leading initiatives to create resilient, joyful & welcoming communities. We want to celebrate & uplift as many people as possible, to spark the imagination of people all over the world — with ideas of ways they can make a positive impact in their own communities. THE ROAD DOESN'T END IN MONGOLIA! Importantly, we will use the materials we produce — film, portraits, stories of migration, and collaborative art murals — as we travel around the United States with The Art of Migration in 2019-20, to offer different perspectives as we continue to engage communities in the exploration of culture, identity and change in the country we call home. ​+ GROWING NETWORK collaborating to create joyful communities where everyone can feel safe and secure, and have the opportunity to thrive. *Funds for post-trip production of film, photographs, coffee-table book, and art canvasses will be handled separately. We are soooooo grateful for your support!!! 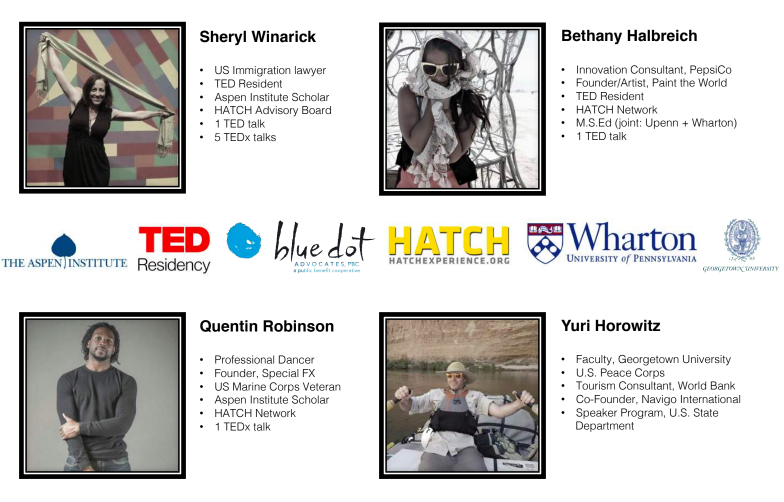 Special thanks to the TED Residency where Sheryl & Bethany met in Spring 2016... to HATCH where we met Quentin... to TEDxMidAtlantic where we met Yuri (& whose co-organizer Nate Mook inspired us with his Mongol Rally journey in 2014 )... to Sheryl's law firm, Blue Dot Advocates, offering "legal solutions for a small planet"... to Welcoming America & their new, Berlin-based initiative Welcoming International... to Voyaj, connecting people through travel for a more peaceful world... to our friends at The Pink Line Project ... and to the EG Conference community, whose incredible support is priceless! We love & value you all so much! Dear friends, on this day of thanks I am sending you so much gratitude for your love, support and encouragement. Without you, our journey this summer would not have been possible. It truly takes a village. I now understand this concept on a much deeper level. 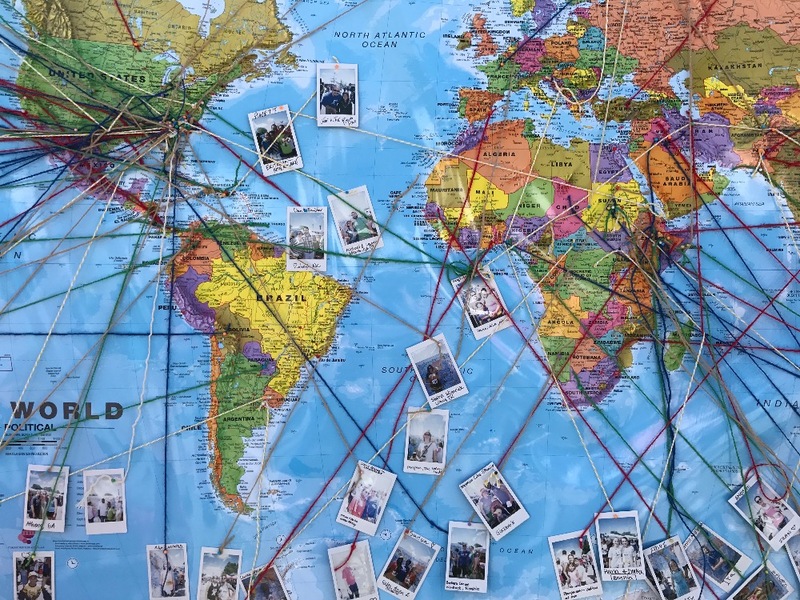 Not only has your financial support been critical, but the emotional support - knowing you believe in The Art of Migration - this really fuels forward the AoM vision and mission. Thank you. Please close your eyes for a minute and really take that in. We are deeply grateful for every one of you. The encouragement of ONE person can go a long way. Sometimes it makes all the difference. Thank you. Home sweet home! At least 2/3 of the team is back in the USA... the other 2 set to arrive next week. We made it to the finish line in Ulan-Ude, Russia on Sept 5, tracking over 17,000 km / 10,000 miles through 19 countries, visiting old friends and meeting new ones, and learning *so much* along the way. THANK YOU for making this journey possible. We owe a mountain of gratitude to YOU our supporters, to our amazing country partners and hosts, to all the people who joined our planned events and volunteered their time in other ways to help us maximize this experience, to all the MECHANICS who fixed our car along the way, and to all the graffiti artists who contributed to create the most beautiful ride of the rally! Big love and infinite gratitude!!! Hi friends! Sending love & gratitude from Almaty. This journey is an adventure - that's for sure - and it would absolutely not be possible without YOU. Just knowing you believe in us helps to fuel us forward. Thank you! We are learning and growing so much, being challenged in ways we couldn't anticipate, and discovering beautiful people who offer hospitality and help everywhere we go! This photo is from a place called Naryn, in Kyrgyzstan. The fact that we even know where this is on the map is amazing - between Son-Kul and Bishkek. Pretty remote. So remote that there is zero cellular service or wifi available to anyone - the local residents or visitors like us. This made life more difficult when we got stuck here for 2 days trying to fix our car. After a beautiful drive down rocky mountain roads, it was here that we realized oil was pouring out of our car. A local family helped us, despite almost total language barrier. We slept on their floor, and our host drove us to the nearest "big town" an hour away for supplies... which evolved into a late night dance party at a restaurant / club we NEVER would have found on our own! We'll post more pictures and stories ASAP on Facebook and Instagram. Tomorrow, we drive north from Almaty through Russia to Mongolia. In Almaty, we got some new graffiti tags. We also got new used tires to lift the car another inch, and a sump guard... hopefully these adjustments will help our little art mobile survive the roads ahead. Thank you, again, for believing in our mission and showing your support. This means the world to us. Almost 3 weeks on the road & so much to share! First, THANK YOU to everyone who is supporting this journey. 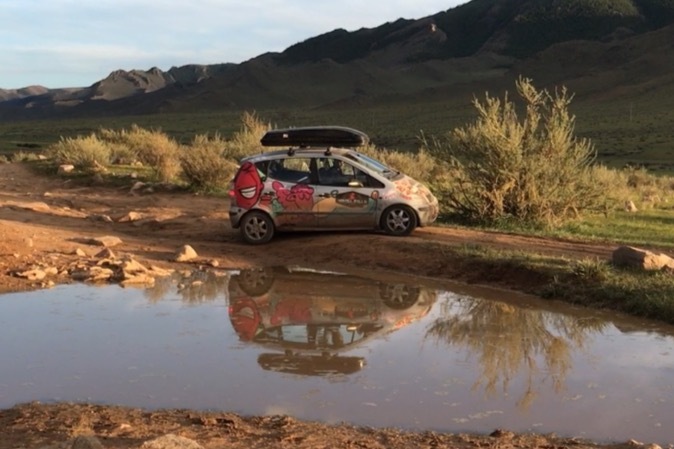 We could not do this without YOU - so you are essentially a part of the #MongolRally team! Thanks also to every one of our country partners & hosts, and the amazing global TEDx family! I will personally be in touch with each one of you when we return to the USA. Where have we been? Prague, Vienna, Zagreb, Bihac, Prishtina, Skopje, Thessaloniki, Sofia, Bucharest, Chornomorets, Istanbul. Every community and every individual has a different experience around the migration issue. 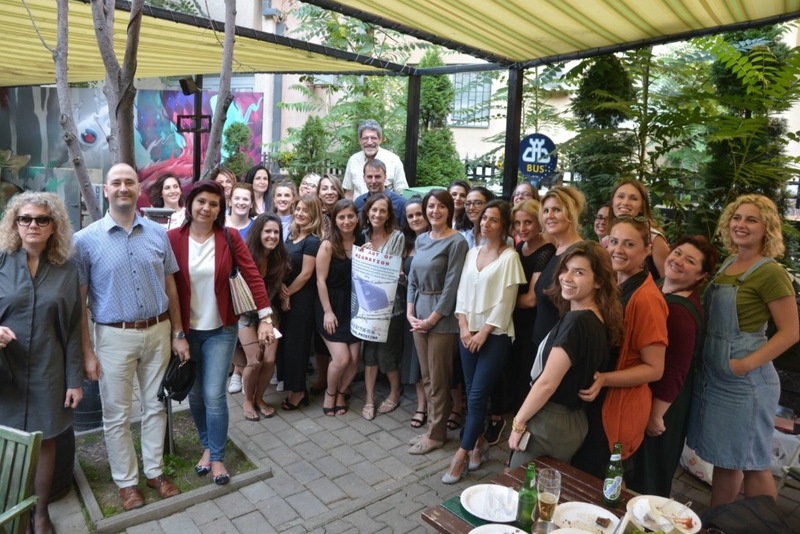 In Kosovo, for example, most of the people we met identify themselves as former refugees because they were personally displaced from their homes during the war. Many spent years living in different countries like Germany, Switzerland, Australia and the USA. The men and women we met - including the former President (!!!) and my friend Janina who organizes TEDxPrishtina - are smart, dynamic, educated, ambitious, creative, and beautiful inside & out - and they hold a lot of empathy for today's refugees, "This could happen to anyone. Yesterday, it was us. Tomorrow, it could be you." Similarly, the people of Bihac, Bosnia remember the experience of being refugees - or hosting refugees from neighboring countries. In just the past 3 months, over 3,000 refugees and economic migrants from other parts of the world have found their way to this town of approx. 66,000 residents. Why? Because Bihac - on the border of Croatia - is a gateway to the European Union. This is challenging for the town's economy, especially during summer holidays. Bihac is normally a tourist destination, and the "migrant crisis" is having an impact. We interviewed the Mayor, the regional Jesuit Refugee Services team, and Kurdish migrants from Iran seeking both refuge and opportunity. In Romania, the migration issue is mostly economic. Almost every family is missing someone who had to leave the country to find work to support their family back home. In fact, Romania has more people living OUTSIDE than any other country in the world, except Syria! Over breakfast, my friend's nanny told me how she grew up with her grandparents and even her great-grands, but not with her own parents because they left the country for work, so she could go to school and have a good life. These examples only scratch the surface. We will share more when we're back in the USA - including ways you can support or collaborate with various local initiatives, migrants and refugees. 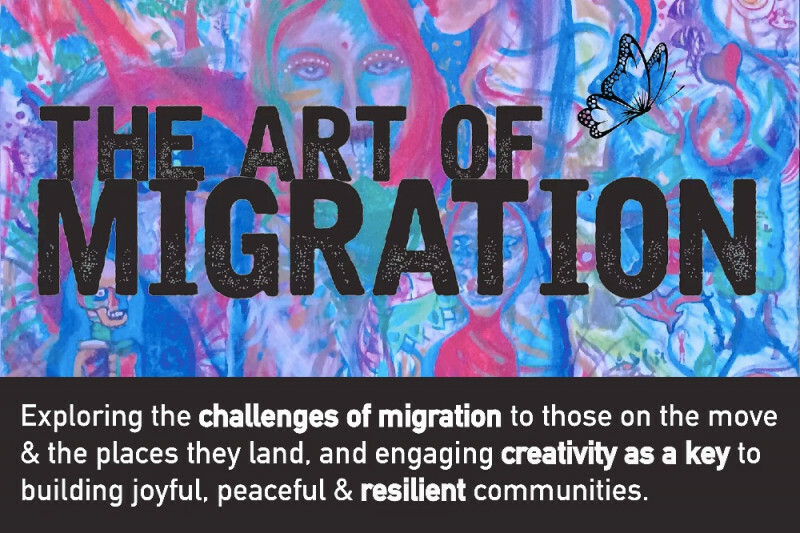 If you are inspired by The Art of Migration, please share with your community and help us reach our fundraising goal. Every little bit helps. Thank you!!! We'll send you a postcard handwritten by someone from one of the countries we visit on The Art of Migration adventure! We'll send you an Art of Migration *passport* to fill up with signatures of people you meet from all over the world, at home & on the road (+ rewards above)! We'll send you an Art of Migration T-shirt (+ rewards above)! You are going to get some major love on social media, and we will list your name in our coffee-table book (+ awards above)! 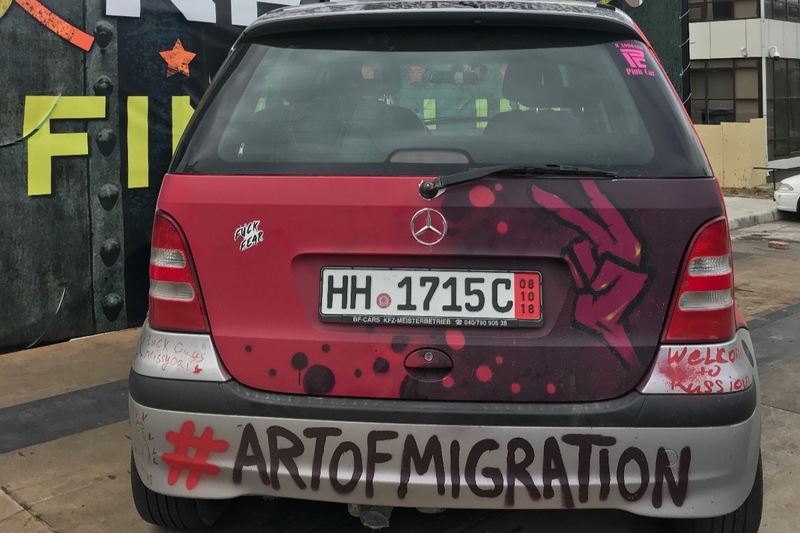 Your logo or image of choice (as appropriate) is featured on The Art of Migration T-shirt (+ rewards above)!